Adacts serves advertisements to end users of various publishers (such as website operators or mobile app developers), via real-time marketplace platforms exchanges ("Exchanges") and/or such publishers. Those ads are provided by advertisers, who use Platform to serve their ads and manage the overall performance of their ad campaigns, including by using third party services that integrate with our Platform. When an end user receives or clicks on an ad, we might receive or collect some or all of the data provided below, whether from the end user's device, from the relevant Exchange/s, from third parties and/or publishers ("Data"). We generally do not collect or use personal information about individual users through the Adacts Service. When we say “Personal Information”, we mean individually identifiable information that would allow us to determine the actual identity of and/or directly contact a specific living person, such as an email address or telephone number. We collect personal information only when we are contacted directly by an individual through the our site and the individual voluntarily provides personal information to us, such as by submitting a question or registering to use the Adacts Service. Adacts does not collect Personal Information about consumers that receive advertiser offers through the Adacts Service. 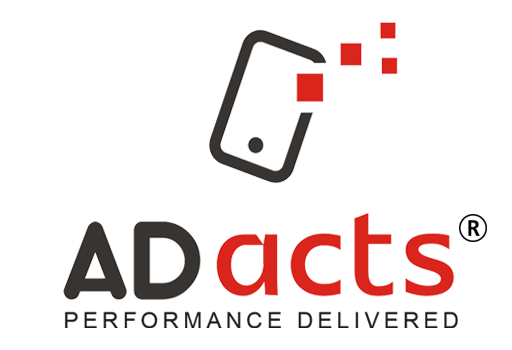 The Adacts Services collect information about your device and the ads that we deliver onto your device. This data, which is collected passively using various technologies may come from such sources as your web browser or the apps that you use. We also may obtain the precise location (e.g., lat/long coordinates) of your device and may use that information to deliver targeted ads. We may also combine the information collected across multiple sites and mobile apps in order to create interest segments that help us target future advertisements based upon those inferred interests. This practice is sometimes referred to as behavioral advertising or interest-based advertising. We use this information as part of the Adacts Services to perform a variety of tasks, such as limiting the number of times a specific advertisement is presented to the same user (frequency capping), providing an advertisement to only certain types of users, or providing a report to a client on the number of its advertisements that were clicked. We may share this information with clients, vendors, and other companies that we conduct business with as permitted by law. Cookies are small data files containing a string of characters, such as unique browser identifiers. Cookies are stored on your computer or other device and act as unique tags that identify your browser. Adacts or our Clients and Partners may deploy a cookie on your browser when you click on the ad banner. This technology may provide with information regarding your IP address, browser type, the web pages that you visit just before or after visiting a website, the web pages viewed, and the dates and times of your visits. Mobile Device Identifiers and SDKs. We, or our Clients or Partners, may use mobile SDKs to collect information, such as Mobile IDs, and information related to how mobile devices and their users interact with our Adacts ad services and those using our Adacts ad services. The SDK is computer code that app developers can include in their apps to enable ads to be shown, data to be collected, and other related services to be implemented. Sometimes, we obtain data through other interfaces that deliver similar data to us, which are commonly referred to as APIs. We may use these technologies, for example, to analyze or measure certain advertising through apps and browsers based on information associated with your mobile device.If you would like to opt out from having ads tailored to you in this way on your mobile device, please follow the Opt-Out paragraph. Our clients or partners may use the above technologies (sometimes, in combination with each other or other data such as IP addresses or hashed or de-identified data files) to coordinate identifiers across platforms, browsers, or devices, in order to more efficiently analyze or target advertising. CHILDREN: We do not knowingly or intentionally collect any Data about children under the age of 16. If you believe that information about your child under the age of 16 may have been provided to Adacts and/or collected by Platform, please contact us at support@adacts.com. The Data may be provided to us directly by you, by the relevant Exchange/s and/or by publishers. Adacts uses the Data to provide end users with our advertisers' customized ads regarding content and/or apps, to enable our advertisers to analyze their ad campaigns and performance (including via their respective tools and partners), and in order to improve the overall quality of Adacts's services. Adacts may retain and use the Data for up to 90 days following the collection and/or receipt thereof, in order to ensure the proper performance of its services, and to allow its advertisers to properly manage and analyze their ad campaigns via our Platform. Adacts may use non-personal aggregated information, including such that was derived from Data but anonymized or pseudonymized to remove its personally identifying characteristics ("Aggregated Data"), including for statistical purposes. Aggregated Data may be kept indefinitely. Adacts will not sell, trade or rent Data, excluding Aggregated Data, to any third party unless we have the end user's prior consent. protect Adacts's legitimate interests in any legal or other disputes. upon a transfer or sale to another entity of all or substantially all of Adacts’s stock or assets; (d) upon any bankruptcy or other corporate reorganization. Adacts may also share Data with its service providers, such as cloud hosting providers and data security and fraud prevention services, in order to properly facilitate and provide Platform. Please email us at support@adacts.com or adress indicated below, we will reply within 30 days. It is possible that you will be asked for a contribution, but only if your requests are manifestly unfounded or excessive. We may request a photocopy of your identity document to ensure your identity. We use the information we collect on the Adacts Ad Platform to serve you with interest-based ads based on your inferred interests, preferences and location. Click on “opt-out of interest-based ads”. For other operating systems, please review the support materials and/or the privacy settings for your device’s operating system in order to opt-out of interest-based in-app ads. Please note that if you opt out of Adacts Ad Platform using your information for interest-based advertising you may still receive “generic” ads from us that are not based on your inferred interests. In order to protect your personal data against unauthorised access by third parties when being transmitted, we secure data transmissions, if necessary, using SSL encryption. This is a standard encryption procedure for online services, particularly for the Internet. In order to process and store the data we collect, this Data is sometimes transferred to countries outside the European Union, this is done on the basis of contractual regulations stipulated by law that ensure appropriate protection of your data.